Welcome to my humble home. I am so pleased you decided to come and visit. Now, do you like that or would you rather hear, Howdy, you all! Good to see ya again!? I guess I better stick to bein me, cause I do that pretty good. Last week, I went out to the George Ranch to set some things up and they were short two hands. You guessed it; I wound up ridin a horse all day, muggin cattle, dippin cattle and ropin. I enjoyed the time, but found out how out of shape I really am! Dont forget the George Ranch Working Ranch Competition and Chuckwagon Cook-off May 3, 4. There will be great food, great rodeo, stick horse races for the kids, live cowboy poetry from your wrangler and friends and a whole lot of stuff for the whole family on both days. Admission is low and its close, just go south on 59; take the first exit after the Brazos River bridge and go left about eight miles. Youll have a ball! We also have the Texas Foundation Quarter Horse Show at the Crosby Fairgrounds Arena on April 12 at 8:00 am. Its free and is back for the second year because they loved our Crosby hospitality, so mark your calendars. Ill tell you more next week. By the way, your wrangler will be announcing the show and Ill have books, CDs and stuff available. Id love to see all of you there! And a desert sun a blazin, On a hundred miles of range. Then a finer life than ridin, Would be mighty hard to find. And the deserts silver mounted, By the touches of the moon. Are a-singin to the stars, If hes ridin? Let me ride the starry ranges, On a pinto hawse with wings! That have wandered out of Hell, And a-ridin. The Aldine area will receive a special spring cleaning April 14 when the Harris County Health Department begins to demolish 44 abandoned houses as enforcement of the Nuisance Abatement Laws. The Health Department chose these properties for abatement based on complaints from individuals, the Aldine Community Improvement District, and from the manpower efforts of Environmental Health Division. The Departments efforts focused on an area bounded by Interstate 59, Homestead Rd., Greens Bayou, and Little York. We identified all the [dilapidated] houses in there we could find, said Philip Moore, administrator of the Neighborhood Nuisance Program. Federal grant monies from Harris County Housing and Economic Development made this extra manpower possible. The grant funds a staff position and the demolition of houses. Much work is required before an abandoned property can be abated. First, a diligent search must be made for the owner. This is done with the help of files from the appraisal district, the Harris County Attorney, voter registration records, and internet databases. Then, the Health Department must post a legal notice in the paper listing the houses are up for demolition. We make every effort to find the owner so we can get them to demolish the building, and we can spend money on other homes, Moore said. If the owners cannot be found, the property is put before the court in a public hearing. After the demolitions are approved, the Health Department seeks bids from contractors. Moore said the whole process usually takes six months from the first complaint. If it goes like it should, the process should take three to four months, but sometimes there are extenuating circumstances, Moore explained. These circumstances include difficult to locate owners or owners who are elderly or on fixed incomes. Theres always a story behind these properties. Some of them are pretty sad stories, said Moore. He said the Health Department tries to work with owners to come to an acceptable solution. 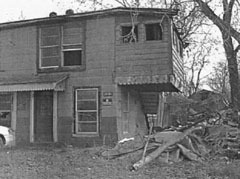 In early May, another group of approximately twenty-five houses, not all in the Aldine area, will be presented to the Commissioners Court for demolition. This list may grow before it is presented depending on leads from the community. This time of year has traditionally been when the complaints come in. In the six months between April and the end of October we receive seventy five percent of complaints, said Moore. This list of properties below have been approved for demolition by Harris County Commissioners Court. Demolition is scheduled to begin the week of April 14, 2003. These properties are not for sale by Harris County; however, if anyone has legal interest in these properties they should contact Harris County Health and Environmental Services at 713-439-6270 and speak with Philip Moore or Liliana Gretzer. 4907 Cedar Hill 13522 Darjean 13838 Darjean 13830 Darjean 13834 Darjean 13618 Darjean 13710 Darjean 13823 Darjean 13402 Darjean 4022 Darwin 5207 Hanley 5234 Hanley 5031 Hartwick 5326 Hartwick 5652 E. Hillside 2318 Hopper 2438 Hopper 4711 Hopper 4906 Hopper 5601 Huse 5607 Huse 2609 Kowis 4308 Lone Oak 5721 Mary Francis 5736 Mary Francis 2014 Mierianne 2401 Mierianne 4302 Mohawk 4532 Mohawk 4910 Mohawk 3021 Mooney 3805 Nuggent 5933 Ridgedale 6005 Ridgedale 2821 Rosemary 4907 Rosemary 4333 Shelton 4509 Shelton 13701 Terlin 13810 Terlin 4320 Trenton 2407 Trenton 11735 Varnell 2419 William Tell. A 14 year old boy was struck by a train last Tuesday afternoon, as he was running from police after alegedly being involved in a house break-in at 9706 Pettibone Street. Police said that 4 or 5 boys were taking part in a kick-in robbery, but were discovered by neighbors who called police. As the police arrived, the boys scooped up about 22 items and fled. One of them ran toward the railroad tracks along Hirsch Road, and was struck by a freight train, according to Officer A. Wright of the HPD. As the train was moving, he was struck along the rail line between Tidwell and Laura Koppe. 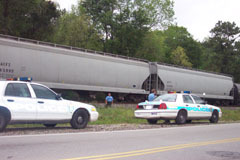 The train traveled several hundred feet south before stopping. He was apprehended and taken to Ben Taub for treatment, not seriously hurt, with bruises of the leg, shoulder and head. The EMT that responded said the boy was fortunate to be knocked off the track, as many pedestrians are dragged into or under a moving train. A second juvenile was arrested in the area, and police are looking for 2 or 3 others. The two apprehended have been turned over to Juvenile Division, of Harris County. Over 200 Special Olympics athletes enjoyed snacks and entertainment provided by the Aldine Optimist Club again this year. The athletes competed at the Aldine Auxilary Stadium Saturday, March 22. In addition to juice and popcorn, the Optimist Club brought a fire truck, set up carnival games under the bleachers, and took the athletes pictures with a giant chicken. The clubs involvement with the Special Olympics is just one of many volunteer projects this group provides for the Aldine community. The chicken suit is part of the Optimists largest program that works with Aldine Independent Schools to teach 4,500 fourth graders to avoid drugs. The club uses the costumes in the yearly kick off for the program. They also help provide t-shirts for all the fourth graders, host a banquet for the counselors who administer the program, and send one counselor each year on a weekend getaway. 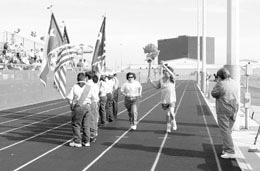 The Aldine chapter of the Optimist Club, an international organization, began in 1965. The chapter has thirty members on the roles, a third of who is regularly active. Their budget comes from one golf tournament each year and various raffles. Still, this small group makes and big impact in the Aldine area. Most of the clubs projects involve a partnership with Aldine schools. This Saturday, they will hold a barbecue fundraiser for the Lane Center. Each Spring, they sponsor project prom which reminds prom goers to not drink and drive. They also provide for two Aldine Scholarships which helps area students attend North Harris Community College. The Optimists support the Aldine FFA by buying a steer and a hog each year. They then donate the meat to needy families. At Christmas time, they work with head AISD nurse to give food baskets to the families of twenty-five students. Another club project helps send four area sophomores to Rice University each year for a weekend of educational opportunities. The Aldine Optimists recently purchased an inflatable jumping room, called a Moonwalk. They loan it to AISD schools to use as an attendance reward and to other groups. The Optimists plan all these projects in just two monthly luncheon meetings. We talk about what were going to do or have a speaker. Our meetings are very, very informal, said club president Steve Mead. The group is always looking for new members. We need more members to try to do more for the kids and to get enjoyment from getting to know other people, Mead said. It isnt hard to join the Aldine Optimist Club. Prospective members need to fill out an application and be sponsored. Mead said they would help anyone who was interested get involved. Meetings are the second and fourth Wednesdays and are held at either the clubs building on Aldine Bender or at the Clarion hotel on Beltway 8. Yearly dues are $90 and lunch at the meetings is $10. For more information, call Steve Mead at 281-442-8127. Houston police are investigating the shooting death of a man at 8434 Carolwood about 3:15 p.m. on Thursday, March 13, 2003. Leonard Dewayne Bledsoe, 33, of 7706 Clareborne suffered a gunshot wound to his chest and was transported to Ben Taub General Hospital where he was pronounced dead. Witnesses informed a homeowner in the 8400 block of Carolwood that his house had been broken into by a man known as Tyrone at approximately 3 p.m. that afternoon. The homeowner drove through his neighborhood in an unsuccessful attempt to find the suspect. A short time had passed when Bledsoe and some family members arrived at the home, unaware that the house had been burglarized. As they stood in front of the home, Tyrone and several other suspects pulled up in three separate vehicles. A verbal confrontation took place before the suspects fired their weapons into the unarmed crowd. It was at that point when Bledsoe was struck. One of the vehicles that the suspects fled in is a gray, four-door Buick. The identities of Tyrone and the other three or four black males accompanying him are unknown. Anyone with information regarding this case is encouraged to contact HPD Homicide Division at (713) 308-3600 or Crime Stoppers at (713) 222-TIPS. Representative Kevin Bailey, Chairman and members of the Texas House of Representatives General Investigating Committee, held a meeting to consider Committee action dealing with the problems at the Houston Police Department (HPD) Crime Lab. The hearing took place In Austin on Thursday, March 13. Chairman Kevin Bailey recommended two legislative bills to the committee. The first bill would require all public DNA crime Jabs in Texas to be fully accredited. It would also prohibit prosecutors from using evidence analyzed by a lab that is not accredited. The committee had learned from James Bolding, supervisor of the HPD Crime Lab that his superiors did not respond to his repeated concerns. In response to a question from Chairman Bailey regarding deficiencies at the lab, James Bolding responded, On numerous occasions, starting in l998, I made all of my chain of command aware of the necessity to (be accredited). He explained that internal audits determined that the lab did not have sufficient funding, staff or wherewithal to do the kind of work expected of them. A second bill recommended by Bailey would authorize the director of DPS to appoint a qualified person to oversee the review of previous cases involving DNA evidence when questions arise about the quality of work produced by a crime lab in Texas. The committee also considered asking for an immediate independent review of evidence in past cases that was analyzed by the Houston Police Crime Lab. In previous testimony the committee has heard from forensic scientists with the Texas Department of Public Safety that the procedure and manner in which the Houston Police Department Crime Lab analyzes DNA evidence does not meet with accredited industry standards. Houstons Northeast side recently benefited from the opening of a new family restaurant at 5223 Hopper, called El Sabor de Mexico. 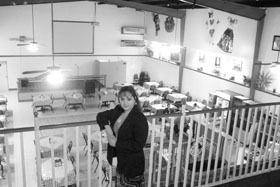 The building is next door to the De Anda familys banquet hall, and follows in the tradition of providing good food, entertainment and special facilities for our community. The owner is Liza De Anda, who saw the restaurant as the culmination of her fathers dream of a complex of buildings that would serve the people of the Northeast community. Joe De Anda built the building in 1997 and intended it for weddings, birthdays, and private parties. After his death, Liza decided to make it more usable as a full-time Mexican restaurant. We started in October of last year, and with all the work I have a new appreciation for those kinds of places. We saw it as a place to eat and be entertained. The colors are red and white, my fathers favorite. We wanted an atmosphere where people could relax, feel comfortable and have a good time. Many of the features are things I like to do myself. Karaoke (I listen, but dont ask me to sing), comedians, playing pool, watching Pay-per-View events on a big screen TV. 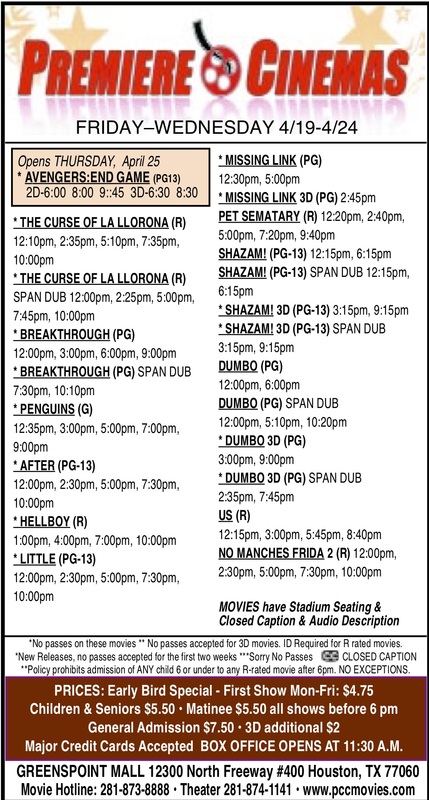 We have a huge 10 x 8 screen on the back wall, and 4 other TVs mounted around the building. Now all of this is available close-by, instead of a long drive across Houston. We also wanted food that people would come back for. We interviewed many cooks. Many. I ate some okay stuff, some really bad stuff, gained a few extra pounds in the process. But I was determined to have the best food, so I kept on. Finally I found a young husband and wife team, Gerardo and Michelle Garza. The moment I put the fork in my mouth, I knew they were the ones…NO DOUBT!! Now we can offer authentic Mexican food, along with delicious sea food. And when we tell you Jumbo shrimp, we mean Jumbo! And, hamburgers, hot wings, desserts that make your mouth water. The Garzas have thrown themselves into this new business, wanting to make this restaurant their signature place as chefs. As an added bonus for patrons, they will always try to make your special order. I need to thank my amazing carpenters who built everything I imagined–Frank Ulloa and Cornelio Aguilar. This is a family business, with my sons Felix, Vincent Hernandez, and daughter Erica Hernandez. My sons girlfriends also work here, Veronica Rodriguez and Stefanie Samudio, nephew Joseph De Anda, and my youngest brother Christopher. We have a nice safe family atmosphere. We have a dance floor, and will have a variety of music. We are looking for bands to play that want to make a reputation and have their name on our marquee. We will also have an outdoor eating and dancing garden area in the summer. Thanks to all who have helped me. As well as my family mentioned above, Terrie Davis, Ronnie, Frank, Joe, Cornelio, Mr. Silva. And thanks for my daughers patience, after I forgot her at school too many times during this whole process. Please come and join us for a good time. We are all your family, and you will have a good meal, a fun time, and enjoy yourself at El Sabor de Mexico. Over 150 teens descend on the Aldine Y.O.U.T.H. the last Friday of every month for Teen Explosion. The young adults come from as far as Katy, Galena Park, Channel View, Humble, and Southwest Houston and as close by as down the street. Attendance steadily increased since its inception three years ago. A record number of teens, 180, attended in January. Februarys attendance was almost as high. Its been growing by leaps and bounds, said director Sylvia Bolling. An exciting variety of events entice youth to come back every month. Every Teen Explosion is totally different, said Don Jones, program director. Februarys meeting featured skits by Drama Extreme, an open mike, and a talk from professional boxer Guadalupe Lupé Martinez, who is 7-0. March will offer teens an opportunity to play a variety of video games while listening to the positive hip-hop of Fire of Infinity. They will also be able to check out Game Stops Hummers on the front lawn. While there is always something different, Teen Explosion regularly offers food, a positive message, and a presentation from Operation Outreach. Founded three years ago, Operation Outreach is a group of rehabilitated drug users who share their personal stories about how they got into drugs, the negative affects it had, and how their lives changed for the better after they quit. At Februarys Teen Explosion, one Operation Outreach member told how he went from a good job as a UPS driver and firefighter to homeless after getting involved with drugs. Now clean, he is back on his feet and has a job as an engineers assistant. Its a path of destruction. If you go there, itll take you down, he said. Jones explained that Operation Outreach is an important part of Teen Explosion since some of the youth who attend the program must contend with the pressure to use drugs. We bring in a lot of kids who have already dabbled in drugs and are in a group home, he said. Representative Kevin Bailey, Chairman and members of the Texas House of Representatives General Investigating Committee, held a public hearing to take testimony from invited witnesses to ascertain the extent of the problems with the Houston Police Department (HPD) Crime Lab. The hearing took place in Austin on Thursday, March 6. Chairman Kevin Bailey opened the hearing with a statement outlining the goals of the committee in conducting the investigation. The goals included making certain that a fair, accurate and independent review of all convictions based on analysis by the HPD Crime Lab was being conducted; that a reasonable plan for correcting the deficiencies was being undertaken by the City of Houston and to determine if statewide legislation or oversight is necessary to ensure the accreditation of all crime labs in Texas. (DPS) Crime Lab that conducted an audit of the HPD Crime Lab in December and Chief C.O. Bradford of the Houston Police Department. He went on to explain that his department has only completed the process of review through about 1997 so additional cases will be referred to the District Attorney as the review continues. action at a future date. Aldine ISD superintendents from the past and present, along with numerous friends and family members gathered to honor former Aldine ISD Superintendent M.B. Sonny Donaldson at a dedication ceremony held in his honor on Sunday, March 2 at the M.O. Campbell Educational Center. 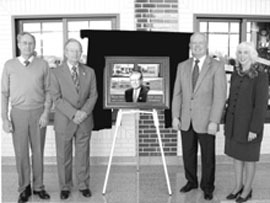 Aldine ISD honored Donaldson, who served as the districts superintendent from 1986 until his retirement in June of 2001, by naming four administration buildings in the district after him. Those buildings are the Central Office, the Human Resources/Special Education Building, the Resource Center (all located on Aldine Westfield Road) and the Aldine Annex (located on Lauder Road). A.W. Jones, assistant secretary of the Board of Education, added that all future administration buildings would also be named after the long-time superintendent. In addition to members of the board who attended the ceremony, former Superintendents W.W. Thorne and M.O. Campbell, along with current Superintendent Nadine Kujawa, were also in attendance, as well as numerous friends, former co-workers and community members. During Donaldsons tenure, the district grew from 37,800 students to 52,500. Under Donaldsons leadership, Aldine ISD earned a Recognized rating from the Texas Education Agency for five consecutive years and for two of those years it was the largest school district in the state to earn that distinction. Additionally, the visionary educator established intermediate campuses for fifth and sixth graders, ninth grade campuses for high school freshman and Aldine was the first school district in the Houston area to create a student financial aid specialist to assist students and parents with finding funding for a college education. Also during his tenure, Donaldson reorganized the district in 1994 adding four area superintendents (a fifth was added in 1999) and in 1995, he oversaw the implementation of Magnet schools in the district. As a result of Donaldsons leadership, innovation and pursuit of academic excellence, he was named Administrator of the Year by the Texas Educational Secretaries Association and in the summer of 1994 and 1995 he was named Superintendent of the Year for Region IV, which serves 57 school districts in the greater Houston area. He was also a two-time finalist (1994 and 1995) for Texas Superintendent of the Year. 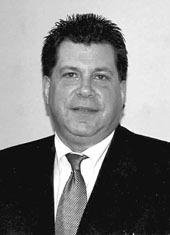 In 1998, he was named Educator of the Month by Texas School Business magazine. Board President Emmett W. Hill said Donaldsons vision and tireless work ethic were key factors in seeing to it that all children in Aldine received a quality education. The two first met in 1977 when Donaldson was named principal at Aldine Senior High School and Hill served on his staff as an assistant principal. Jones, who made the formal dedication, said Donaldson was the right man to lead the district as it underwent numerous changes in the 1990s. It was a remarkable course that Sonny navigated during his 34 years in this school district, Jones said. He took on the job as superintendent when only a small percentage of students in Aldine were economically disadvantaged. By the time Sonny retired, however, 73 percent of our students were economically disadvantaged. Donaldson said he was flattered and honored to have the four buildings named after him, but he was quick to point out the success he enjoyed in Aldine was a team effort. Donaldson spent his entire 34 years in education in Aldine ISD. His career began in 1967 as a teacher and coach at Aldine Senior High School. He also served the district as an assistant principal, principal, director of athletics and assistant superintendent of administration before being named superintendent of schools in 1986. Kujawa also thanked Donaldson for his years of service to the district, and former superintendents Thorne and Campbell for their leadership.